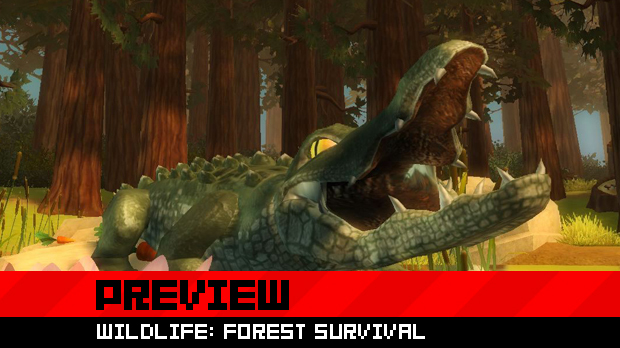 Wildlife: Forest Survival is one of the weirdest class-based versus games I have ever played. 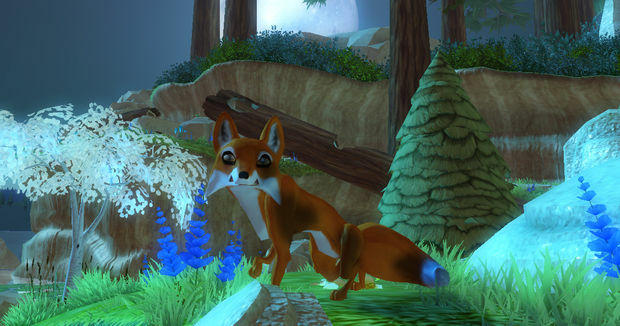 Different from the upcoming Tokyo Jungle, Wildlife: Forest Survival only has four animals, and is an arena based game that's in cute forest environments. It's all rather odd, and it is certainly like nothing else on the market. Follow for more. While the four class types seem slightly arbitrary, they are each pretty important. Wildlife follows the natural pattern of the food chain. Rabbits on the bottom, their goal is to eat as many carrots as possible, which can be found all over the various maps. Carrots don't seem to be worth many points, so rabbits have to eat a lot if they hope to win. With the best jumping skill, fastest running speed, and a “danger sense” that shows up as a hard to see ear wobble. Often times they are the only ones who can fit in certain hideaways, and they can eat poison peppers (making them poisonous) or speedy green peppers, which will make them even faster. Foxes can eat both rabbits and hawks (should the birds miss on a dive, the fox can make an easy kill), and they also see the sense trails left behind rabbits. As a larger target for the hawks and gators, they have some serious weaknesses, but have enough evasive and offensive skills, they can be quite effective at winning matches. The hawk initially has some of the best skills. Being able to fly above the forest arenas gives them a clear view of the animal shenanigans below. Diving down to kill a fox or rabbit is a bit harder than you'd think, and the rabbits are very difficult to snag. Both foxes and gators pose a threat if you fly too close to the ground and water. Gators, from my play session, seemed to struggle the most. Slow on land, but fast in the water, they can eat anything and sneak up from the ponds and creeks. At the top of the food chain, having all the food options available means there are plenty of choices, but since everything is so much faster than you, it's hard to catch up. One little feature some will find cute are unlockable skins and color options for the animals. Nothing unrealistic, but you can have a pinkish rabbit and a golden hawk for some minor customization, for example. I'm secretly hoping little hats will be unlockable. While all this is grand and good, one problem I noticed with Wildlife is balancing. There can only be four of each animal type on the map at any time, and if there is a disproportionate number of animal types on the map, it can be easy for them to dominate. Even more, certain matches would just be impossible, like just hawks vs gators. EA Salt Lake will have to balance things out before the game launches next spring. Personally, the game does feel a little simple, if totally wacky and fun. 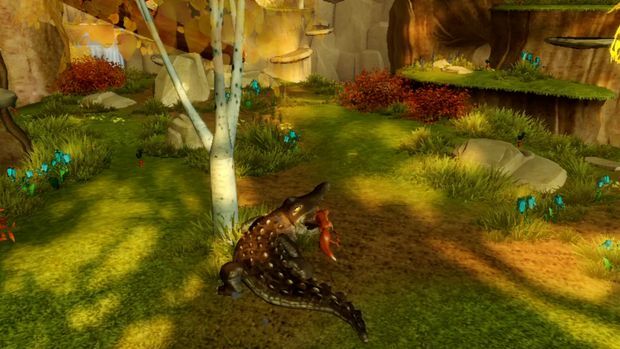 Wildlife: Forest Survival not a terribly realistic take on the food chain, but it's an enjoyable one. I don't think it has the depth of other class-based games, but it's a distinctly unique videogame. Keep an eye out for it next spring.